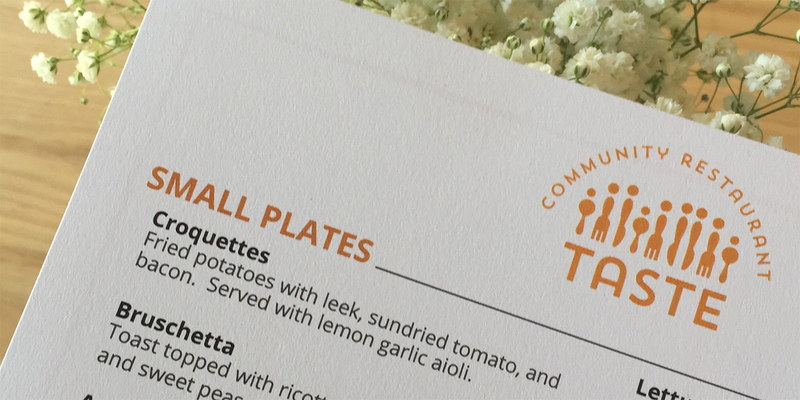 Fort Worth’s newest nonprofit restaurant, Taste Community Restaurant, launches its Spring menu today. Chef Jeff Williams and the team, consisting mostly of volunteers, encourage all Fort Worth residents to come taste and see a new approach to solving the issues of hunger in our community. Taste’s new menu includes spring items such as croquettes with leek, sundried tomato, and bacon; bruschetta made with ricotta cheese, avocado, and sweet peas. Honey-soy chicken lettuce wraps. And a house-cured bacon and green tomato sandwich. But the menu still has many fan favorites including our Carrot Curry Soup, South American Arepas, and our Traditional Burger with Texas-beef, house-processed cheddar cheese, house-made pickles, and our Tasty Sauce all served on a bun baked on site. Taste Community Restaurant is the first project of the Taste Project organization designed to help feed, educate, and serve Tarrant County’s food insecure population, a total of 18.1 percent of Tarrant County’s overall community. Fort Worth and surrounding area residents can come show support for the underlying issue of food insecurity in our community. Enjoy a wonderful meal. And meet some amazing people. Lunch is served from 11am – 2pm, Tuesdays thru Sundays.